When vampire Jaden Beayer is kidnapped and tortured, weredragon Enforcer Kiellen Henley is assigned to find her. After her recovery, Kiellen agrees to help Jaden track down the humans responsible and exact revenge on them. The problem is, Jaden feels Kiellen is the missing ingredient for her complete recovery – even if he is a weredragon, and off limits. After all, who can resist a guy so hot the ground he walks upon steams. Kiellen believes Jaden has mistaken gratitude for attraction, and despite his overpowering need, he rejects her attempts at seduction. As they face violence and betrayal, and Jaden's quest for revenge becomes one for justice, Kiellen's resistance evolves into acceptance and love. But a relationship between them could endanger the fragile truce between weredragons and vampires, and could mean the death sentence for them both. Weredragons and Vampires have been enemies for centuries. So after the weredragon and Enforcer Kiellen Henley had rescued the vampire being tortured it should be a job considered done right? Not. At. All. He is drawn to her and cannot comprehend why. Jaden, trying her best to recover and seek revenge, for some reason only finds safety in the weredragon's arms. A hot read that has plenty of action and a great story line as well. Daniels will keep you turning the pages to find out what happens with the conflicted lovers. wooohooo yes!!! Couldn't agree more!!! Wow, Twigs! 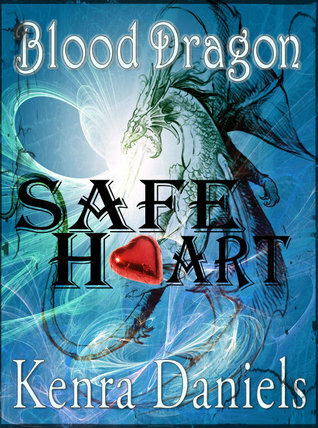 Thanks so much for taking the time to read and review Safe Heart! Soooo glad you liked it! Thanks, Azure! My Kiellen wouldn't be who he is without you, lol! Thank you Kenra! I cannot tell you how much I truly enjoyed reading Safe Heart.